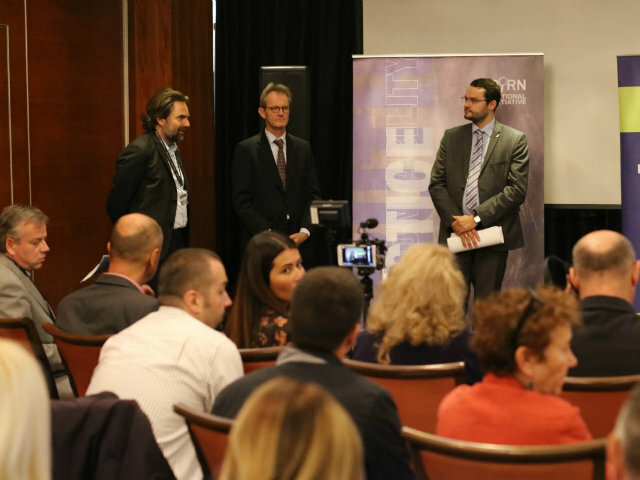 Cooperation on war crimes cases between prosecutors’ offices in former Yugoslav countries happens rarely despite agreements between the states, said participants at a major regional conference organised by BIRN. Regional cooperation between prosecutors’ offices in former Yugoslav countries is beset by problems, despite the protocols that states have signed agreeing to collaborate on war crimes cases, said speakers at a conference organised by the Balkan Investigative Reporting Network in Sarajevo on Wednesday. “The cooperation exists in theory, but it is non-existent in practice,” Aleksandar Kontic, legal officer at the Mechanism for International Criminal Tribunals in The Hague, told the conference entitled ‘After the ICTY: Regional Cooperation, Accountability, Truth and Justice in the Former Yugoslavia’. Kontic said that the chief prosecutor at the Hague court, Serge Brammertz, has reported countries in the region to UN Security Council on several occasions due to their non-cooperation on war crime cases. He also suggested that part of the problem was that all countries in the region still divide suspects into two categories – “our heroes and their criminals”. The acting chief prosecutor at the Bosnian state prosecution, Gordana Tadic, said her institution wants to improve regional cooperation because some of the suspects being sought for prosecution in Bosnia and Herzegovina are living in Serbia and Croatia. “It is important for war crime perpetrators not to remain unpunished no matter where they are,” Tadic said. In 2013, the prosecutor’s offices of Bosnia and Herzegovina, Croatia and Serbia signed protocols enabling the free exchange of war crime cases, investigations and case documents. Despite the fact that several cases have been exchanged and processed, very few against high-ranking suspects have been successfully transferred to neighbouring countries’ jurisdictions, while numerous suspects have never been arrested or had cases brought against them. Jurica Ilic of the County Prosecution in Zagreb pointed out that Croatia has certain legal differences that complicate cooperation with other former Yugoslav states. “There is a problem related to existence of different standards in individual countries, which makes it impossible to take over complete cases,” Ilic said. Croatian law does not recognise the concept of a ‘joint criminal enterprise’, and the Croatian government has ordered the country’s Justice Ministry, when reviewing cooperation requests from Bosnia, to refuse to act on any which “violate state interests” – meaning those in which Croatia is named as a participant in a joint criminal enterprise during the Bosnian conflict. Paul Flynn, prosecution manager at the EU’s rule-of-law mission in Kosovo, EULEX, said meanwhile that cooperation between Pristina and Belgrade on war crimes cases was almost non-existent. “Without that, I think we shall have no justice at all,” Flynn warned. Merita Gashi, an adviser to the Kosovo chief state prosecutor, said that Pristina and Belgrade have no legal cooperation at all because of Serbia’s refusal to recognise Kosovo’s independence. “There are around 13,000 victims of the military conflict in Kosovo. Victims are tired of waiting. They are beginning to lose confidence,” Gashi said. Ivan Jovanovic, an expert in international law, told the conference that former Yugoslav countries had to accelerate cooperation because as the years pass, suspects, victims and witnesses are all getting older. “We are witnessing that victims are dying and many suspects are dying,” Jovanovic warned.